Learn techniques and short routines with qualified teachers, build on confidence and dance moves in a fun environment. Work towards exam grades and earn in school certificates. Opportunities to take part in local events and perform within the community. 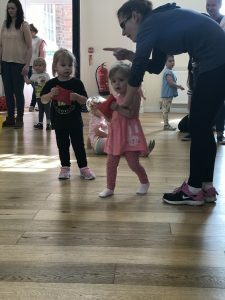 Our Beginner Dance Classes at Dance Addicts provide those who are new to dance with the perfect opportunity to build confidence to learn new dance routines with our experienced dance teachers in our Macclesfield dance studios. If you’re considering joining up for Beginner Dance and you have any questions then drop Allan a message today or find out when the next class is on via our Lesson Timetable. Looking for a Beginner Dance Class in Macclesfield then Contact Us Today.